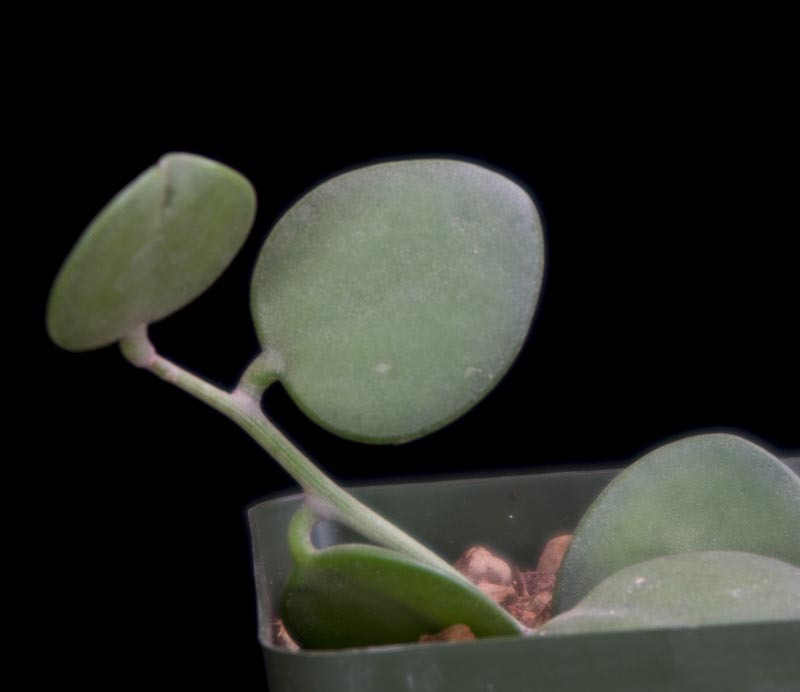 Thick round leaves on a vining succulent. Leaves will die back in drought conditions. Indoor in winter. Prefers heat.